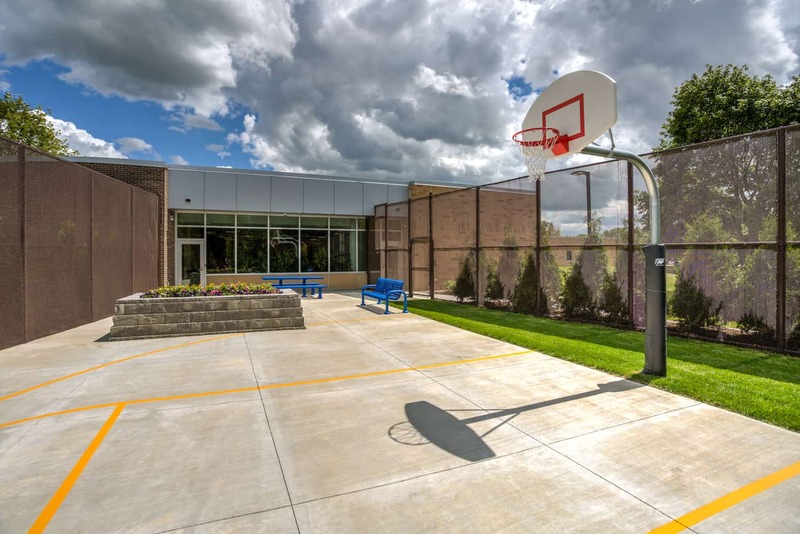 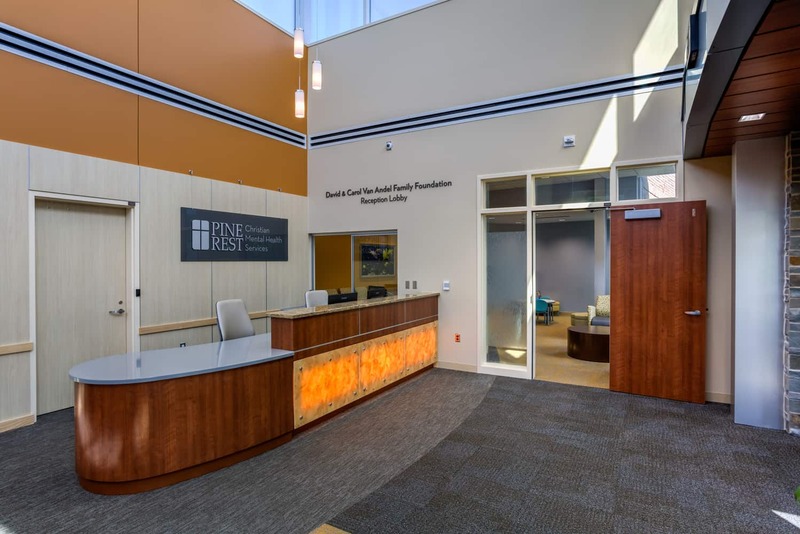 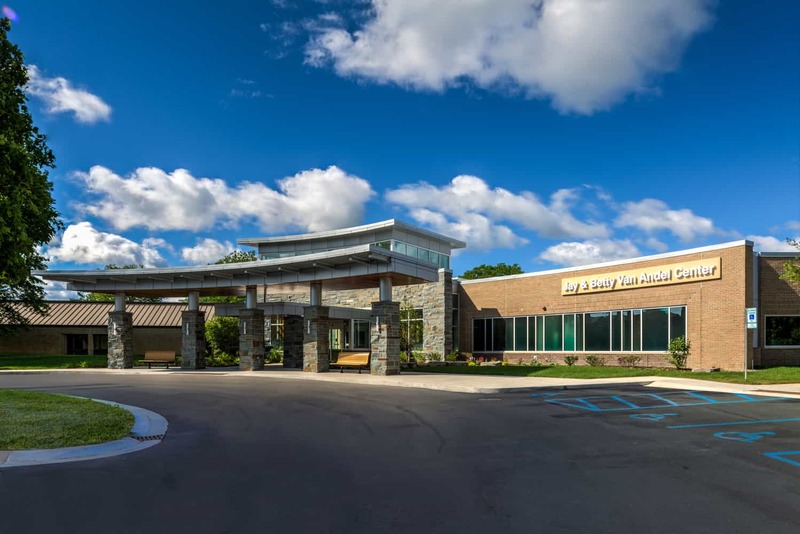 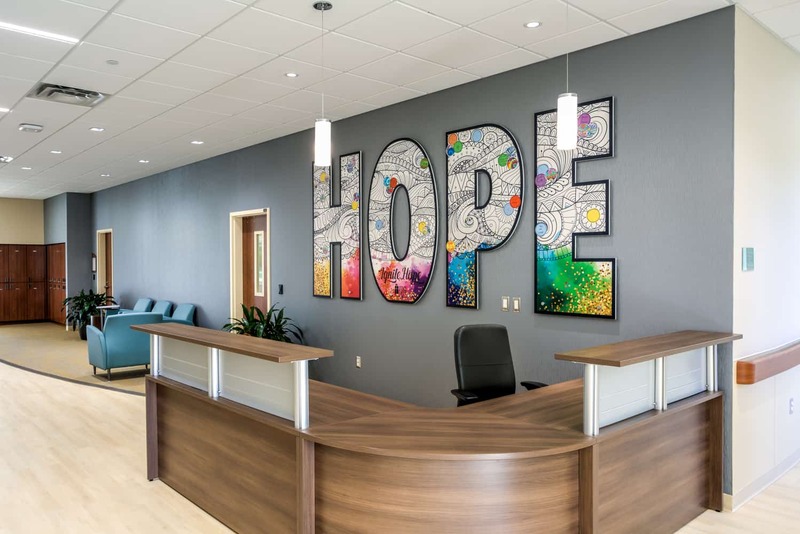 Drawing from input representing health care, law enforcement, community leaders, and families, Pine Rest Christian Mental Health Services built a 35,070-square-foot addition and renovation to the Van Andel Center. 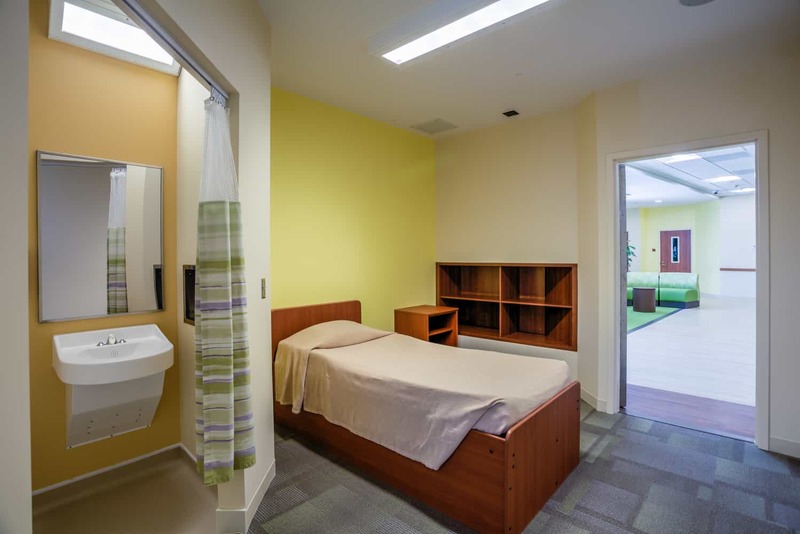 The project expands access through a unique design that allows Pine Rest bed units to adjust to community need, serving a variable mix of adolescent and young adult patients. 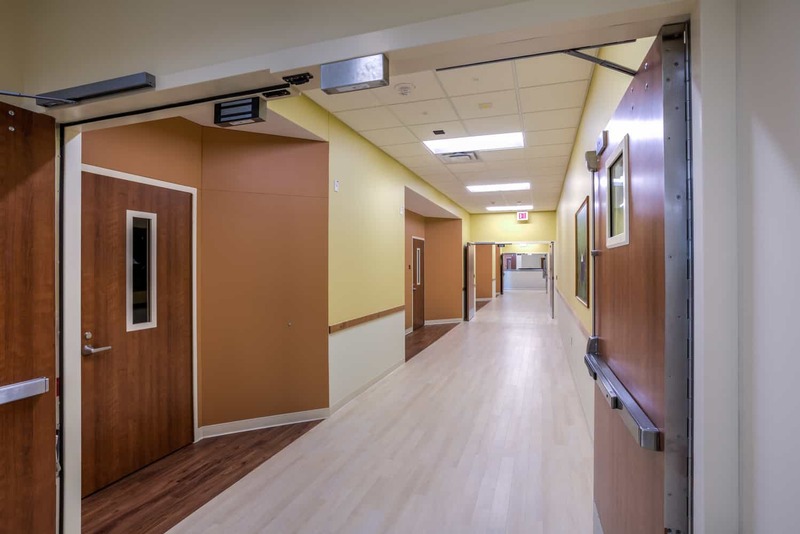 They achieve this operational goal with treatment spaces to separately accommodate populations without duplicating support spaces. 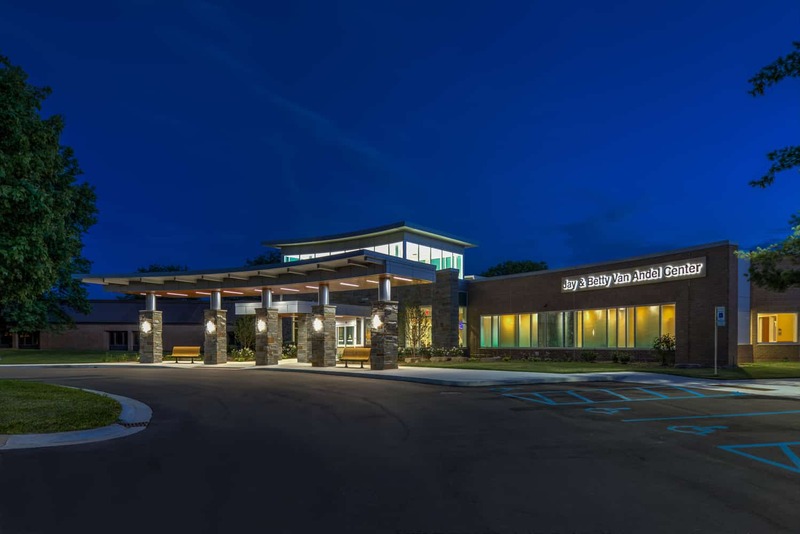 The addition includes a 25,670-square-foot patient wing, an expanded Contact Center, and a new main entrance. 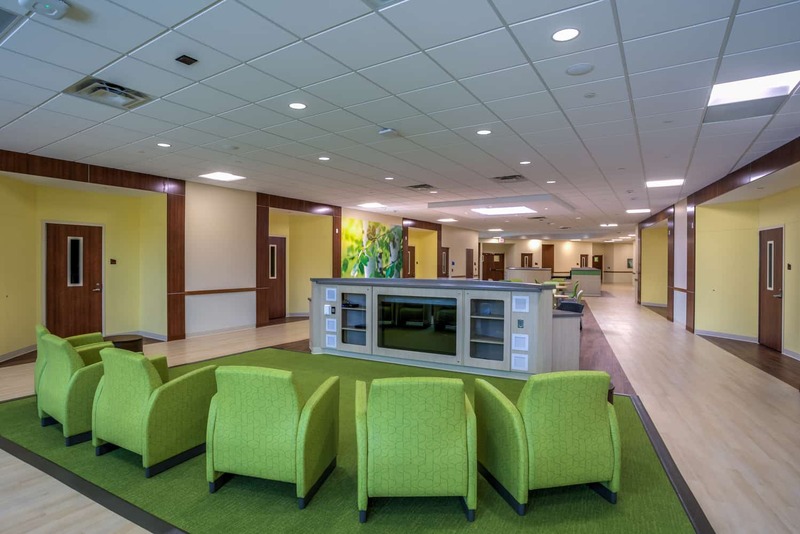 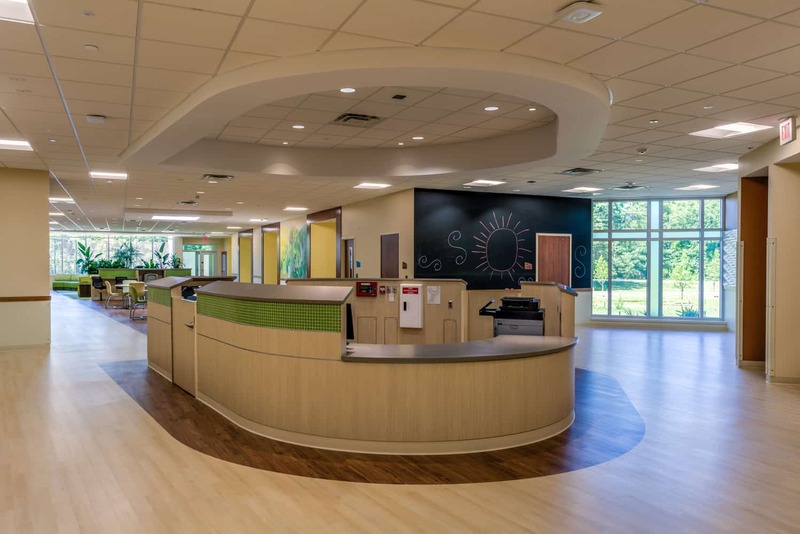 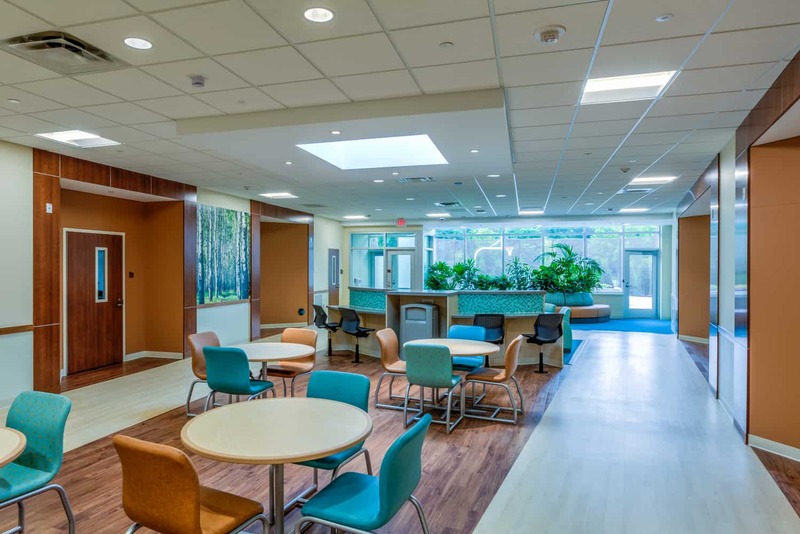 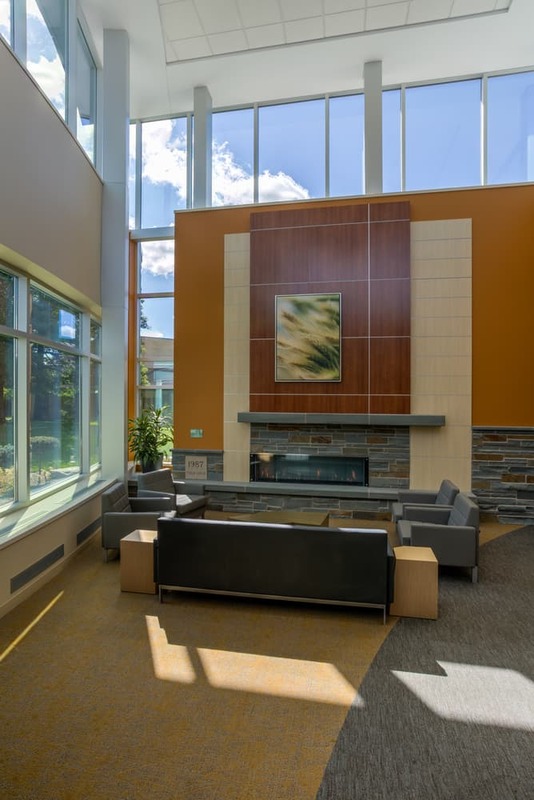 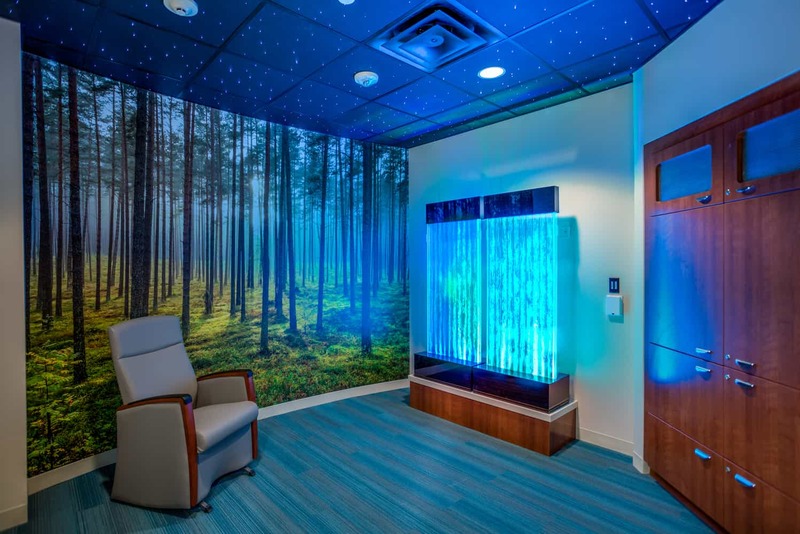 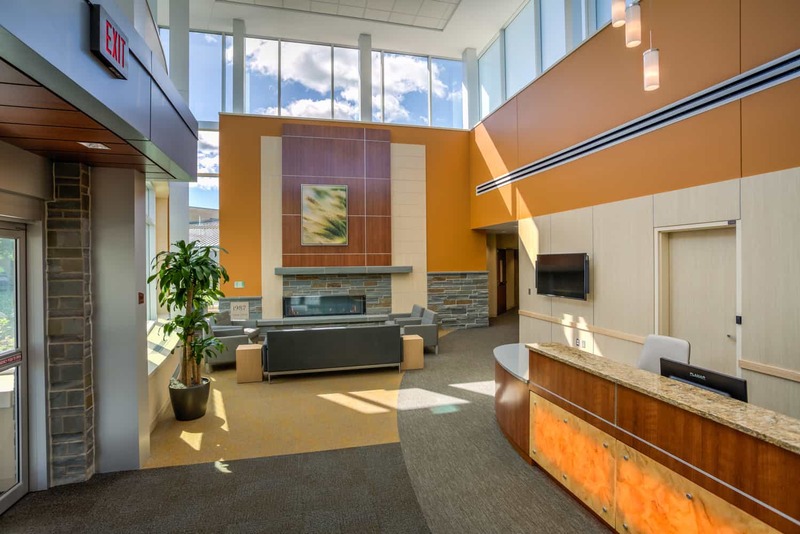 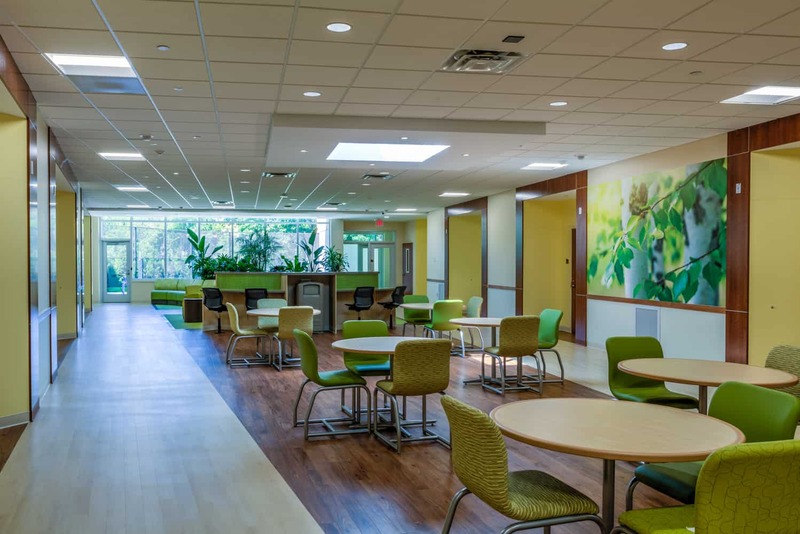 Creating a calm and welcoming atmosphere, the design leverages the facility as a treatment tool for families and patients from the moment they enter the facility with warm and durable materials, designated waiting areas for children, and a separate entrance for patients arriving by ambulance. 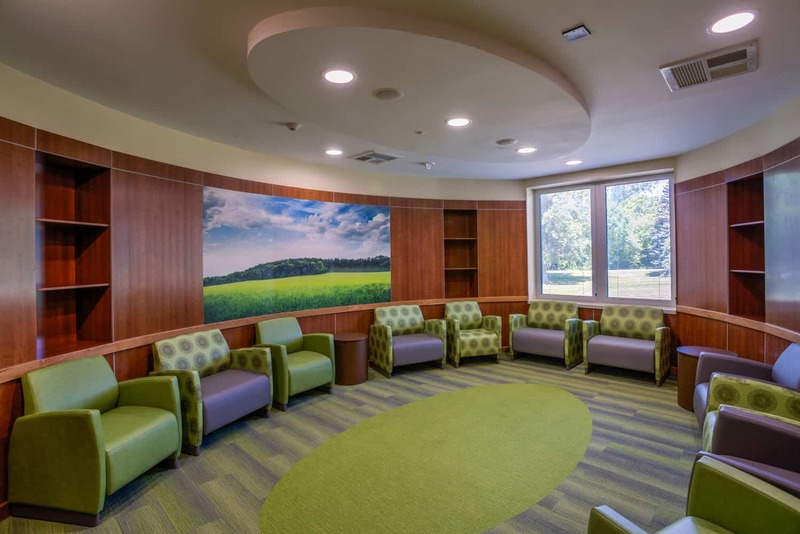 Additional client intake rooms in the Contact Center just off the main entrance also improve the admissions process for patients. 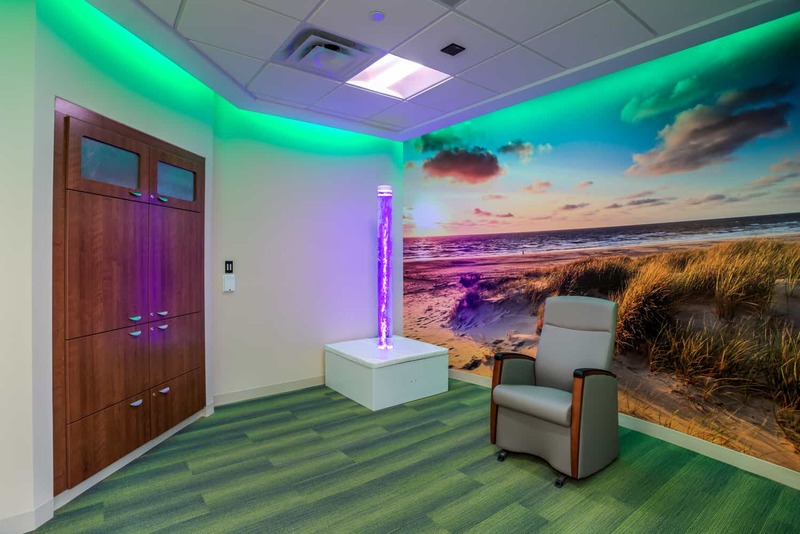 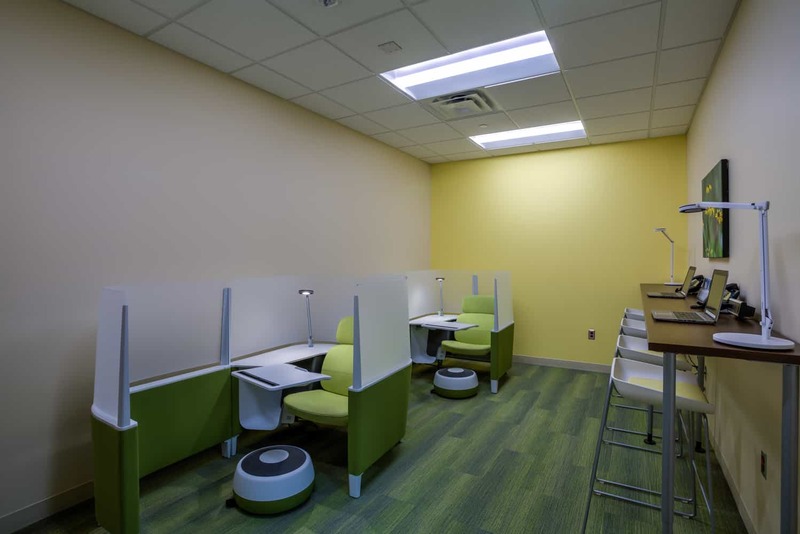 The units, themselves, continue the therapeutic strategy with a daylit environment and elements that engage patients through choice and control in a safe and secure setting.